Marco Zanuso was an Italian architect and designer known for his part in revolutionizing furniture after World War II. Characterized by sinuous shapes, colorful textiles and innovative materials, his work became award-winning and can be seen in the permanent collection of the Museum of Modern Art in New York. 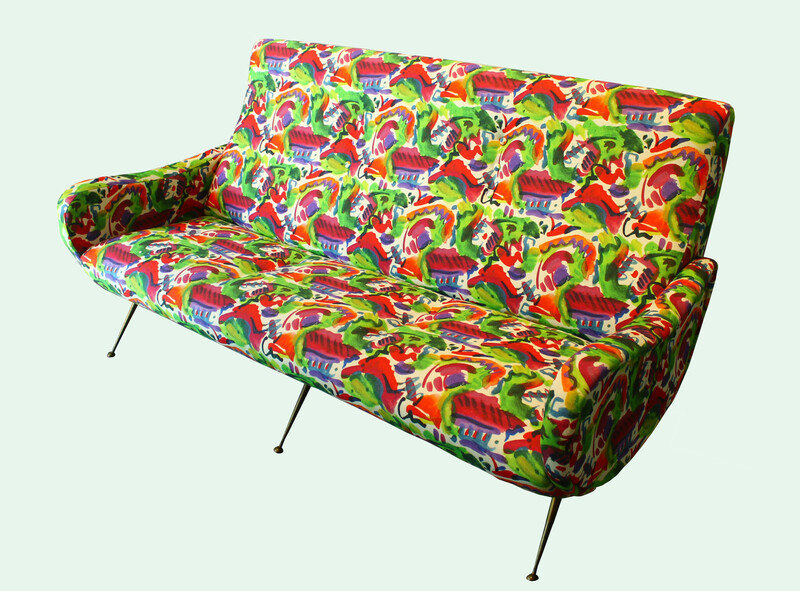 This settee, in the manner of Marco Zanuso and reupholstered in a bold Havana Tropicana fabric by father-daughter team Electra Eggleston, speaks to his modern yet classic sensibilities.